With Barcelona’s mayor Ada Colau determined to increase the quantity of social availability in Barcelona, the construction of subsidised, communal homes presents an interesting opportunity for local architects, and a chance to restore the confidence lost in architects and architecture after the global real estate crisis. 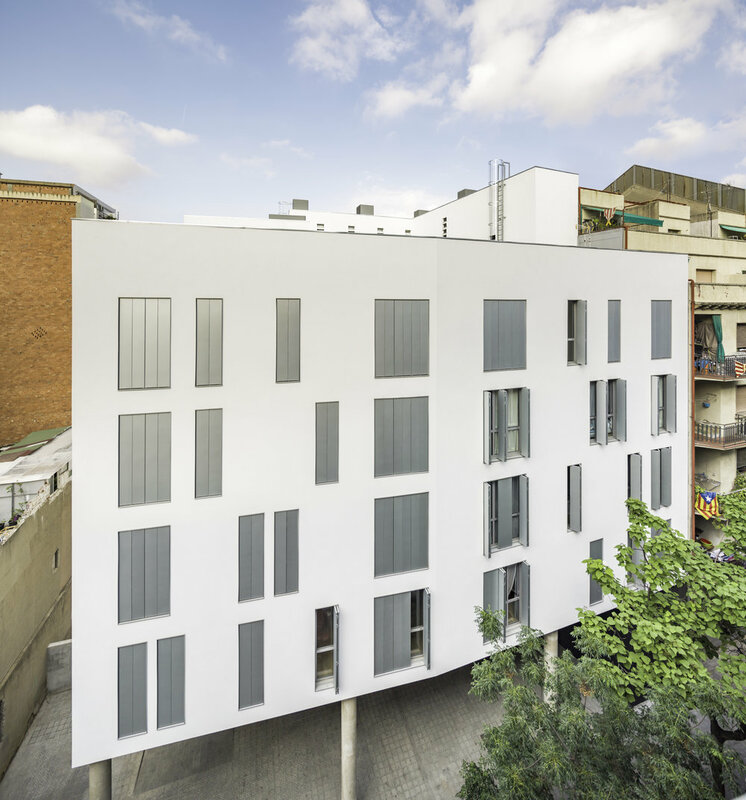 Cases in point include the homes designed for young people in Sant Andreu by Lopez-Rivera, and the soon-to-be-completed La Borda; a cooperative housing community made almost entirely of wood. This new public housing project is from the well-regarded practice Espinet/Ubach, whose best-known work includes the Ferrer Bobet winery in the Priorat region and the Ra Spa-Hotel near Tarragona. 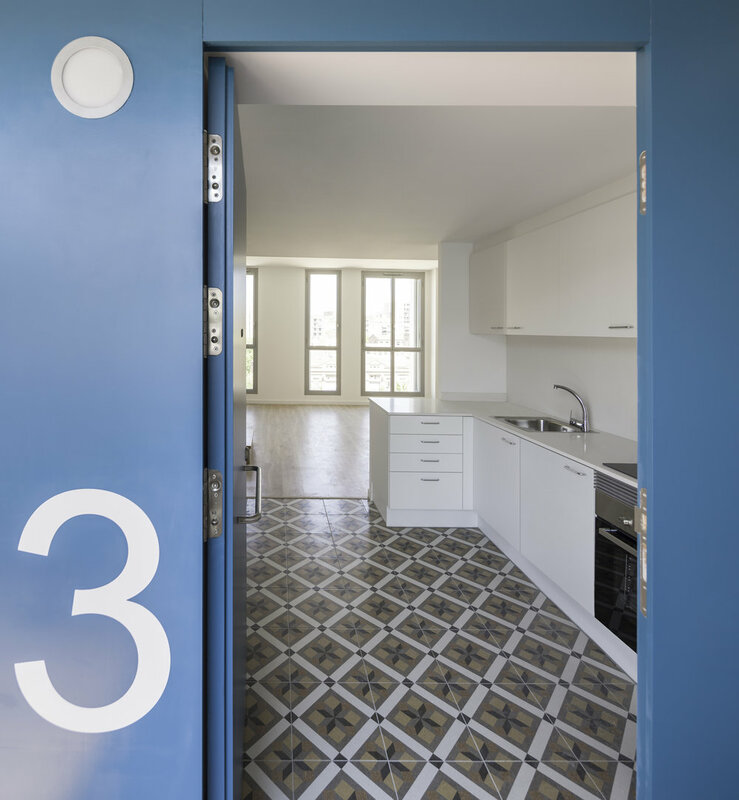 Despite these high calibre commissions, Miquel Espinet and Antoni Ubach claim that one of the mission’s of their work is to provide a social cultural commitment, and these homes appear to make good that promise. The apartment building is adjacent to Can Batlló, an old textile complex and landmark whose demolition has been avoided through local activism (it now hosts community events and activities). It’s situated in Sants, a working class district that was important during Barcelona’s industrial revolution, and where many old factories have been reclaimed for parks, civic centres and other community functions. 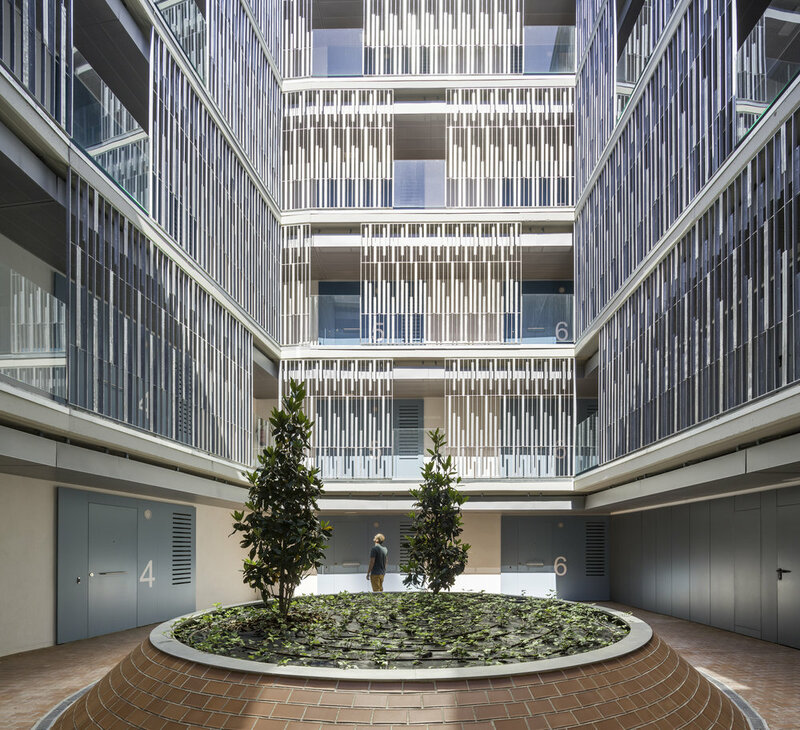 The starting point for Espinet/Ubach’s design was an interior courtyard, which not only drives the internal layout of the apartments and public areas, but also leverages natural lighting and ventilation, and so far bioclimatic results in the building have been very favourable. Service areas for the apartment (laundry, bathroom, kitchen etc.) have been placed in the inner ‘crown’ of structure, with flexible living areas on the outer ring giving way to windows that puncture the building’s white façade in irregular compositions of three different types. The interiors are bright and functional, with patterned floorings and modern kitchens. Three of the 26 units are duplex, with four bedrooms that cater to larger families. The central patio is fundamental to the building’s design, and presents a very Mediterranean alternative to the enclosed tower blocks that were thrown up in Barcelona for immigrant workers during the 1960s and 1970s. Climatically it acts as a thermal ‘chimney’ by warming the airflow (via infrareds) into an upward current of warm air in cooler weather. 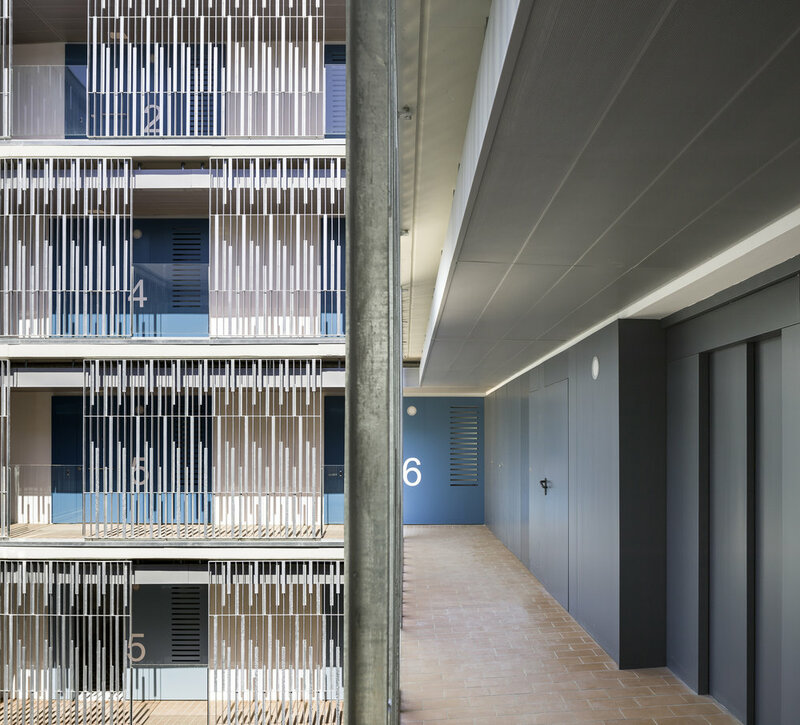 On all five floors, it is enclosed with a ‘fence’ of galvanised plates that provide some privacy without losing a sense of community.